If you’re like most people out there, you may be looking for some ways to improve your health. Well, then it’s time you tried adding turmeric to your diet. According to Dr. Axe, this all-natural spice has been used for more than 5,000 years thanks to its healing powers. Since, there have been thousands of case studies to prove the positive health effects associated with the herb, which even contains an anti-inflammatory called curcumin. 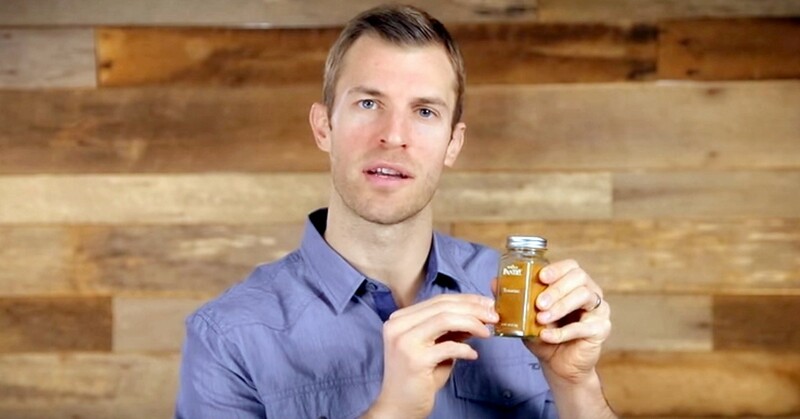 In the video, Dr. Axe provides a long list of ways the spice can help improve our bodies. Some of the benefits are easing pain, cleaning out arteries, balancing blood sugar, improving skin, detoxifying, and so much more! It has even been known to have greater effects than over 20 different medications! To receive all the amazing benefits turmeric has to offer, simply incorporate it into your daily meals. Dr. Axe provides some great suggestions in this regard. You could spice up a chicken coating, sprinkle some on a salad, mix it in with hummus, make a tea, or just take it in capsule form. So if you’re looking to get healthy, add turmeric to your shopping list today and start reaping in the benefits!